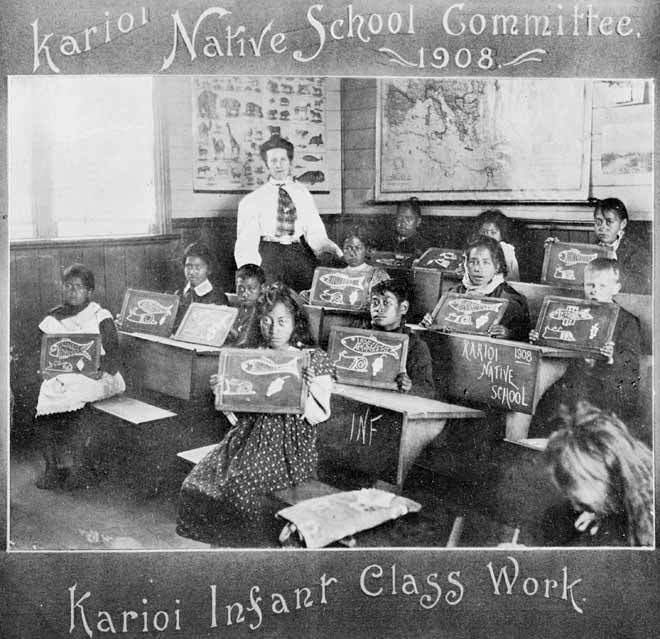 One of the key elements of the government's provision of education to Māori children in the 19th century was that instruction was in English. This played a significant role in undermining the Māori language. Here children from Karioi Native School in the central North Island show pictures they have drawn on their slates.